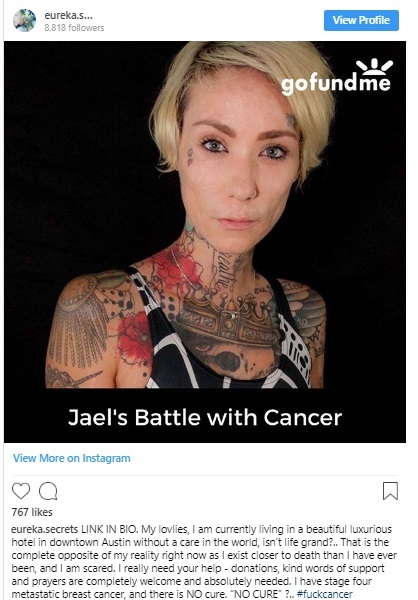 Jael Strauss Former America Next Top Model contestant has died from breast cancer aged 34. She died after her diagnosis. According to the TMZ, the model who competed in the eight series of the talent show dies in a hospice. Earlier on 2nd October Strauss has revealed that she had been diagnosed with the disease. In August Strauss had battled drug addiction during her life and celebrated five years of sobriety. She made a plea to her Instagram followers for support and prayers.